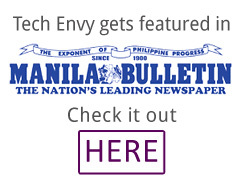 Tech Envy is a tech blog founded by Adrian and his older sister, Stef dela Cruz. Its name was inspired by how both siblings lauded (and envied) each other’s tech purchases despite their many differences. This tech blog features app reviews and recommendations, gadget features and reviews, local and international tech events, tech news, and tech-related giveaways. Disclaimer: Any opinion shared by one blogger is not necessarily shared by the other. Blogging is much more fun that way, isn’t it? If you’re addicted to social networks, do join Tech Envy on its social networks! Stef dela Cruz is the older sibling. 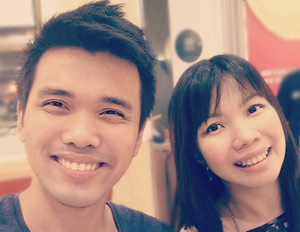 She is a doctor and writer based in Manila. She has a health column in Health.Care Magazine, a column about cats in Manila Bulletin’s Animal Scene Mag, and maintains her own health blog. Stef used to be a numbers geek, winning the regionals in several national math quiz bees. A reformed game addict, she now spends a maximum of two hours a day playing games. With a rather eclectic taste in gaming, she plays anything from morbid RPGs and hack-and-slash games to word puzzles and object-finding game apps. 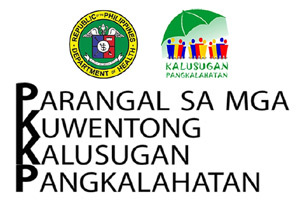 Because of her writing, Stef was bestowed the Health Media Recognition Award by the Department of Health in 2013. 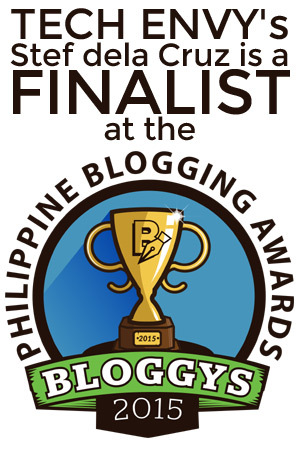 She is also a finalist at the Bloggys 2015 Philippine Blogging Awards, chosen out of almost 2,700 entries. She prefers Android over Apple. Read more about Stef on her website. Stef is perennially online. It's part of her job and there's no denying that she loves it! Join Stef dela Cruz on her different social networks! Adrian dela Cruz is younger than Stef by more than a decade. But at five foot ten, he doesn’t look it! He’s an engineer based in Pangasinan. He is a gifted gamer; he finished Super Mario Bros via family computer at age seven – and he thought it was rather easy. He is now studying to become a chef. Adrian was a varsity player for his basketball team and was crowned junior prom king. Although a jock, he is actually a geek at heart. Choosing Apple over Android, Adrian is forever iFaithful. Sorry, but there’s nothing you can do to talk him out of it. He is always online. He doesn't mind meeting fellow geeks and techies. Connect with Adrian dela Cruz on his social networks! Although both Tech Envy bloggers are completely different in many ways – from their gender and age down to their preferred gaming platforms – they are each other’s confidante and, as you might have already guessed, they are pretty close. Perhaps that’s why they fancy each other’s gadgets even if they don’t always agree. Tech envy, indeed!